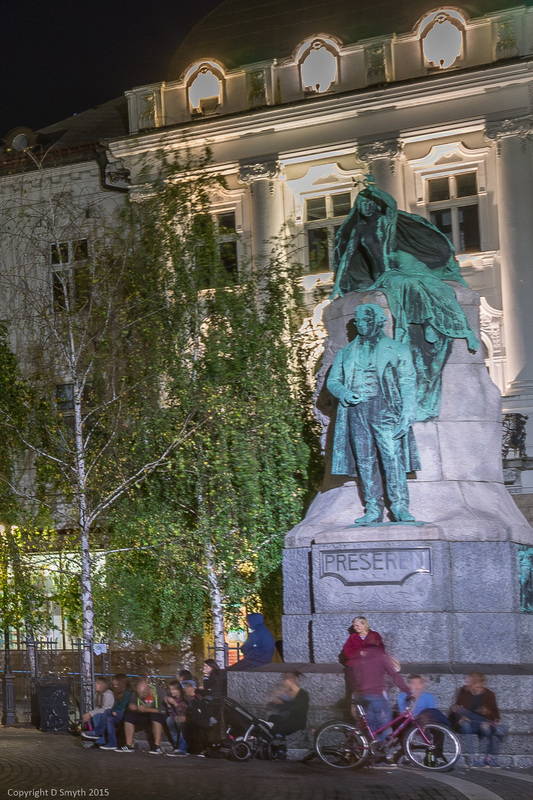 In the centre of Ljubljana, at the eastern side of Prešeren Square, stands a 9.6 metre tall bronze statue of the Slovene national poet France Prešeren together with his muse. The poet is dressed in the outfit of the period and holds a book symbolising his Poems. His muse watches over him, hovering just above his head holding a laurel wreath in her hand. Prešeren lived a controversial life, clashing with civil and religious authorities and suffering a severe drinking problem possibly abetted by his unrequited love for Julija Primi, his muse. His works, however, are much revered and he is now considered to be the writer who inspired virtually all later Slovene literature. He died in 1849 at the not so ripe age of 48 and this monument was unveiled in 1905 to an audience of over 20,000 admirers. His statue faces the window where his adored Julija Primic used to live! Which is a bit sad when you think about it. 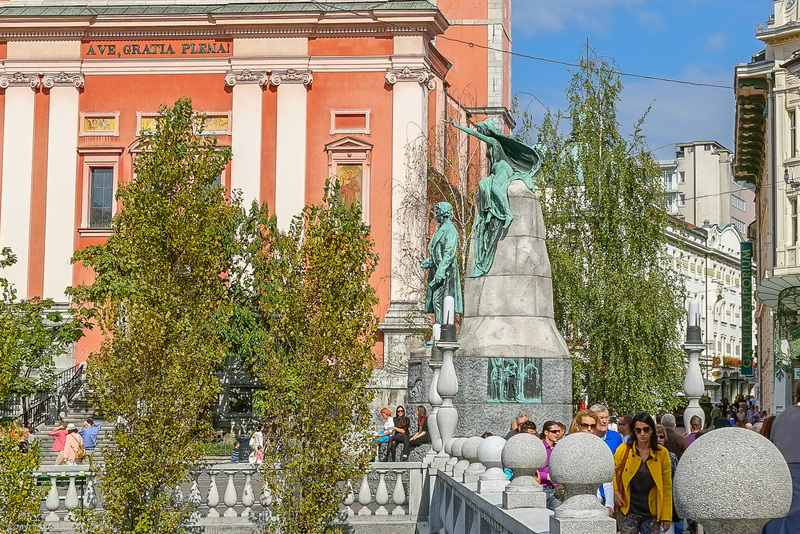 Ljubljana is a lovely city and this is a great response to the challenge! Is there anywhere in the world you haven’t been to Debbie?